great! Don’t know the artist. 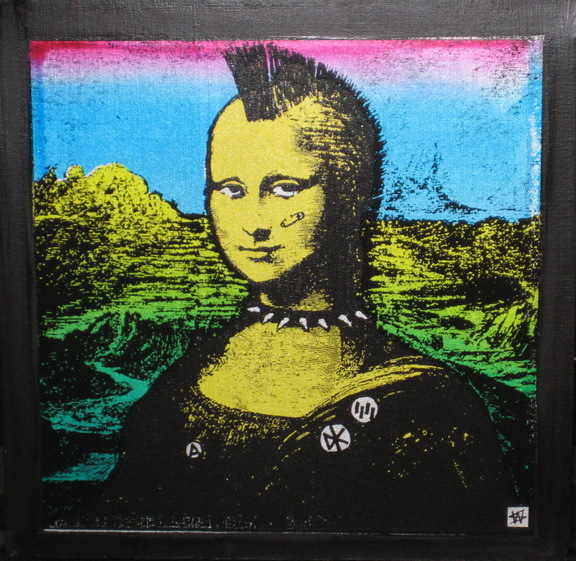 The Punk Mona Lisa? 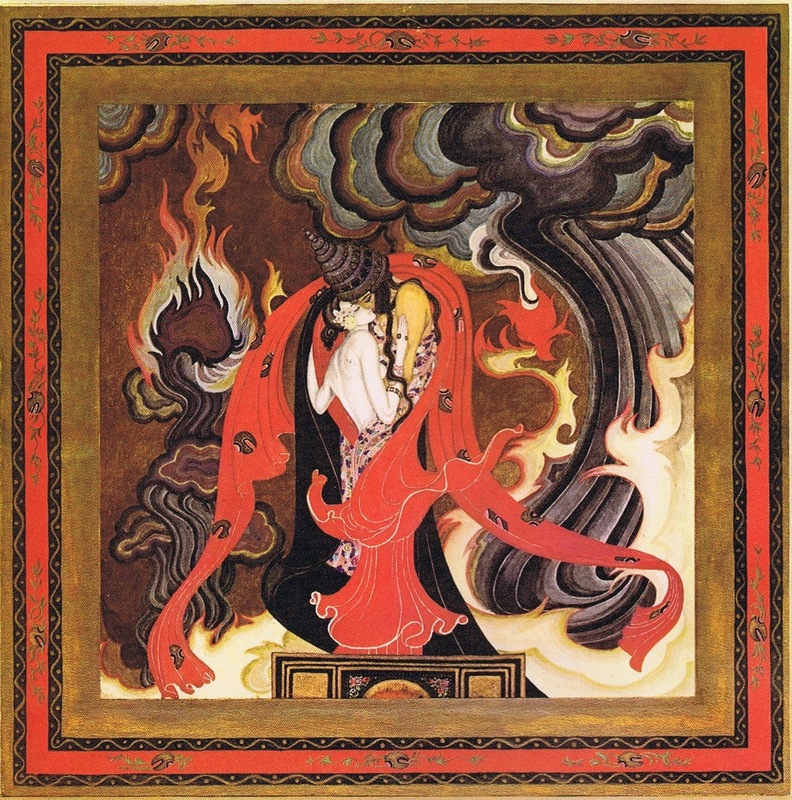 Understanding the inherent nature of Venus in Aries, when found in this Fire Sign in the Birth Chart, can help us to unravel the individual’s temperament and likely experiences in the areas of personal relationships, social interaction, aesthetic and other values, creativity, Eros etc. This essential nature of Venus in Aries will also reflect on the life and experiences of many individuals if Venus happens to transit any sensitive point of their Birth Charts (even when Venus was in a different Sign when they were born). The ‘Phase’ Venus is in, Morning Star at present, has also a bearing on the possible effect of her Transits. On April 6 Venus emerged from the ocean of Pisces, a vast realm of magic and mystery, to enter the fiery home of Mars, a place for initiative and challenges, where the feminine principle embodied by Venus is clad in armor and ready for a fight. Here we experience the feisty aspect of Venus, the more independent, masculine Goddess, for whom love is conquest and adventure, or otherwise boring and expendable. Brave, bright and cheeky Venus in Aries is here to cheer us up, inspiring confidence and optimism. Especially susceptible to her infectious enthusiasm are the Fire Sign, of course: Aries itself, by conjunction, Leo and Sagittarius, by trine, the other Cardinal Signs, Cancer and Capricorn, by square, and Libra, by opposition, and also Gemini and Aquarius, by sextile aspect. If your Sun is not in any of these Signs, also the Moon, a planet, a Lunar Node or one of the four Angles (Ascendant, Descendant, Mid-Heaven and Lower-Heaven) will suffice to feel this Venus’ effect. One aspect that is not often emphasized when talking about this placement of Venus is her highly idealistic nature, passionate and aspiring, therefore also easily disappointed by the realities of love, commitment and the humdrum of everyday relationships. Love inspired by higher visions of freedom, equality and justice, unrealistic perhaps but worth fighting for. We should also remember that Venus is in her Morning Star phase, rising before the Sun, a time, in her 584 synodical cycle with planet Earth, when she manifests her more outgoing and adventurous side. This phase (that will last until June 6 when Venus will return to the evening sky), in combination with the Sign Aries, promises more honest, direct and independent relationships in the making, and the strong desire for being self-sufficient, producing sometimes an allergic reaction toward co-dependent and close knit relationships. Living the positive side of this transit could mean a boost of loving and creative energy for the Fire and Cardinal Signs (Aries, Leo, Sagittarius, Cancer, Libra, Capricorn), with more opportunities for socializing, dating, perhaps beginning new relationships on the spur of the moment. Instant attraction can come easy when Venus transits Aries, because we respond readily to external stimuli, we are less inhibited and more open to new possibilities, daring to take some emotional risks in order to reach out. Sudden attractions are more possible and the desire to try new things is strong. This is not however the best Venus’ Sign for serious commitments because tomorrow we may find ourselves indifferent to what seemed very attractive today. The need for novelty and change is strong with Venus in Aries, always ready to move on. A sense of adventure could lead us into relationships that may prove not so suitable after the first enthusiasm and novelty wear off. Hasty commitments are better avoided at this time, or soon we may find ourselves looking elsewhere to meet our emotional needs. For well established relationships the transits of Venus in Aries could mean an increase in discussions and arguments, headstrong attitudes stopping us from hearing what the other person is saying. Forcing our opinions on each other could only make matters worse at this time, because Venus in Aries doesn’t leave much room for compromise. Apart from relating Venus has also a lot to do with creativity and aesthetic feelings, as well as with our value system and material finances. Because Aries is a Sign of action Venus here may prompt many to act out their creative ideas and imagery, making things, or starting something that we didn’t have the initiative and confidence to tackle before. Like with all the Fire Signs the need for self-expression is very strong in Aries. On the financial front there may be a tendency to spend freely or on things that take our fancy in the moment. In business and work Venus in Aries can provide the impulse to initiate new ventures, especially those that will promote a greater degree of independence. Risk taking is fun for Venus in Aries who is always on the lookout for some form of excitement. While the transit is active you may find yourself also more inclined to inspire others to become more independent and self reliant, by example and also by a not too gentle push, driven by the desire to show them the myriad possibilities available to get out of stale situations. There is nothing stale about Venus in Aries! If you are so inclined you could use this energy to become more militant and outspoken about issues that are close to your heart. Between April 20 and 23 Venus will, first, square Pluto in Capricorn and then conjunct Uranus in Aries. These could be the days of maximum excitement and potential extremes. They could be also very creative and innovative times, when we finally succeed to get rid of the old and embrace the new, with renewed confidence and independence. We could discover or re-discover our true values, perhaps not the same as those we have been conditioned to think should be our values. During this transit of Venus it is important to mark the difference between positive assertion and the tendency to seek conflict by stressing differences rather than smooth them, the natural role of a less Martial Venus. The effect of Venus Morning Star in Aries would of course be modified in many ways by the other planetary Transits active during this month, especially Mars in Sagittarius, soon to become retrograde (April 17); Mercury in Taurus, retrograding on April 29; Jupiter in Virgo; Saturn in Sagittarius, etc..
Brave, bright and cheeky Venus in Aries is here to cheer us up, inspiring confidence and optimism. Especially susceptible to her infectious enthusiasm are the Fire Sign, of course: Aries itself, by conjunction, Leo and Sagittarius, by trine, the other Cardinal Signs, Cancer and Capricorn, by square, and Libra, by opposition, and also Gemini and Aquarius, by sextile aspect. If your Sun is not in any of these Signs, also the Moon, a planet, a Lunar Node or one of the four Angles (Ascendant, Descendant, Mid-Heaven and Lower-Heaven) will suffice to feel this Venus’ effect. It could spice up your love life (if you have one!) and create a mood for conquest and risk taking in the area of relationship. Sudden attractions are more possible and the desire to try new things is strong. This is not however the best Venus’ Sign for serious commitments because tomorrow we may find ourselves indifferent to what seemed very attractive today. The need for novelty and change is strong with Venus in Aries, always ready to move on and explore. Generally speaking we could all be more open and honest in our dealing with others, in fact for some of us it would be advisable to use some caution in order not to sound too sharp or bossy during this period. In business and work Venus in Aries can provide the impulse to initiate new ventures, especially those that will promote a greater degree of independence. Risk taking is fun for Venus in Aries who is always on the lookout for some form of excitement. While the transit is active you may find yourself also more inclined to inspire others to become more independent and self reliant, by example and also by a not too gentle push, driven by the desire to show them the myriad possibilities available to get out of stale situations. There is nothing stale about Venus in Aries! If you are so inclined you could use this energy to become more militant and outspoken about issues that are close to your heart. February 10: conjunction to Uranus, exciting but somewhat drastic. Check too impulsive behavior that can alienate you from others. February 16: square to Pluto in Capricorn, intense and passionate, but also a bit dangerous and dark. Watch the crockery flying! March 4, just before leaving Aries: opposition to Retrograde Saturn in Libra, feeling frustrated and limited by our circumstances and relationships. Patience will pay off. 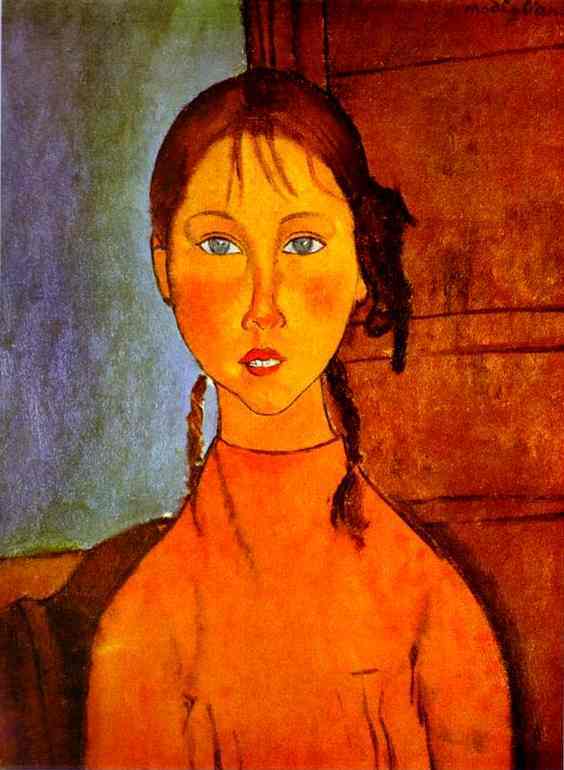 I have chosen this young ‘Girl with Braids’ by Amedeo Modigliani (1884-19200) because she has that spark in her eyes that is the hallmark of women and men born with this Venus’ placement. Few examples of famous men: Eddie Murphy, George Clooney, Jack Nicholson, Bob Marley, Harry Belafonte, Russell Crowe, Michael Chang, Nat King Cole, Morgan Freeman, Peter Brock, Rodney King, Roy Orbison, Tony Blair, Saddam Hussein, Orson Wells, Albert Einstein, Michelangelo, Raphael. And women: Jennifer Aniston, Sarah Jessica Parker, Mia Farrow, Marilyn Monroe, Elizabeth Taylor, Jayne Mansfield, Joan Crawford, Janet Jackson, Liza Minnelli, Audrey Hepburn, Cate Blanchett, Doris Day, Shirley Temple, Queen Victoria. 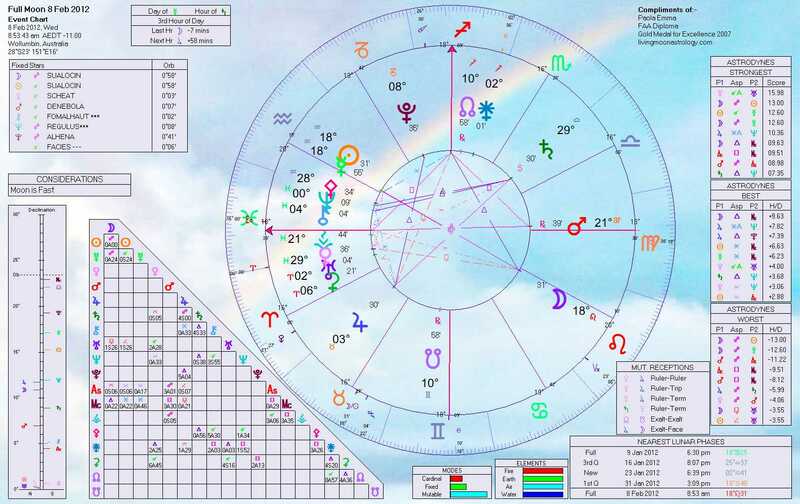 The transits of Venus in Aries come to the fore this week, with the square to Pluto in Capricorn, on Wednesday, April 27, and the opposition to Saturn in Libra on Sunday, May 1. On May 1 Mars in Aries will also form a conjunction to Jupiter. The most significant solar aspect will be the 120 degrees angle (trine) to Pluto in Capricorn, exact on Thursday, April 28. The Moon’s Last Quarter falls in Aquarius on Monday, April 25, beginning the last week of the lunar cycle that was born with the Aries New Moon on April 4. This particular cycle, important because it marked the beginning of the astrological year after the Aries Equinox, started with very intense transits, delivering a month of serious international events, with the deepening nuclear crisis in Japan, the escalating democratic uprising in the Middle East, Africa and elsewhere, followed by bloody repression. We have entered collectively a period during which we may find difficult to cooperate, and when the line of least resistance will be to seek conflict rather than peace. After the Sun entered Taurus few days ago there are still five celestial bodies transiting Aries at the moment, namely Venus, Mercury, Mars, Jupiter and Uranus. The Aquarius Last Quarter phase provides a time for reflection, focusing on global humanitarian issues. This trend will continue with the Balsamic Moon Phase in the Sign of Pisces on Friday, April 29. The next New Moon will be in the Fixed Earth Sign of Taurus on May 3. APRIL 27 and 28, WEDNESDAY and THURSDAY: Pluto is brought to life by the combined transits from Venus in Aries, today, and the Sun in Taurus, tomorrow, April 28. On April 27 Venus in Aries is exactly at right angle to Pluto in Capricorn. This transit, as well as the Sun-Pluto’s angle exact tomorrow, will remain active for three/four days, from April 26 to 28. Individuals directly aligned to this transit are Aries, born March 27 to 30, Capricorn, born December 28 to 31, Libra, born September 30 to October 3, and Cancer, born June 28 to July 1. Or anyone with Moon, planets or Chart’s Angles around the 7th and 8th degrees of the same Signs. The Venus-Pluto’s transit cannot be separated from the conjunction Venus-Uranus that was exact on April 23, or the upcoming opposition Venus-Saturn, due on May 1. They are all part of the present Venus’ story, affecting the way we relate to each other on the planet. Like Mars did in recent weeks Venus is now playing the role of trigger to bring to manifestation the energies of the slower moving planets. Venus brought Uranus to life inciting rebellion against the status quo in our relationships at the end of last week, while today, contacting Pluto, she helps to reveal the shadowy side of relationships, and later, expressing the power of Saturn, she will make us more aware of relationships’ limitations and responsibilities. Venus-Pluto is not a fuzzy, lovey-dovy kind of transit, it is far too intense and truthful for that. Great passion combines here with great difficulties, forcing us to look into those irksome issues we often prefer to ignore or gloss over. We may get the chance to explore power struggles, control issues, sexual difficulties, loss in love, changes we find difficult to accept but that are unavoidable. It should help to better understand what makes our relationships thick, and what needs to change in us so that we can begin to relate in a more authentic way. If we are unable or unwilling to look within for answers this configuration could instead contribute to destructive feelings, such as jealousy, resentment, excessive pride, and, in some cases, even to violent behavior. Art being also the realm of Venus this aspect could help us to express our feelings into more passionate and truthful forms of art, not just beauty for beauty sake. On April 28 the Sun is also in aspect to Pluto, and a positive aspect at that (trine), hopefully helping us to experience the square Venus-Pluto in a more constructive way. Whenever the Sun contacts a planet an opportunity arises to integrate the planet’s function in our conscious life. Despite the obvious difficulties of the Venus-Pluto’s square, the Sun in trine to Pluto could direct the spot-light of awareness onto the hidden layers and dark recesses of our relationships and life patterns. This should stimulate the desire to make meaningful changes in these areas, taking full emotional responsibility for what happen to us or finding the inner strength to end relationships that have become toxic. 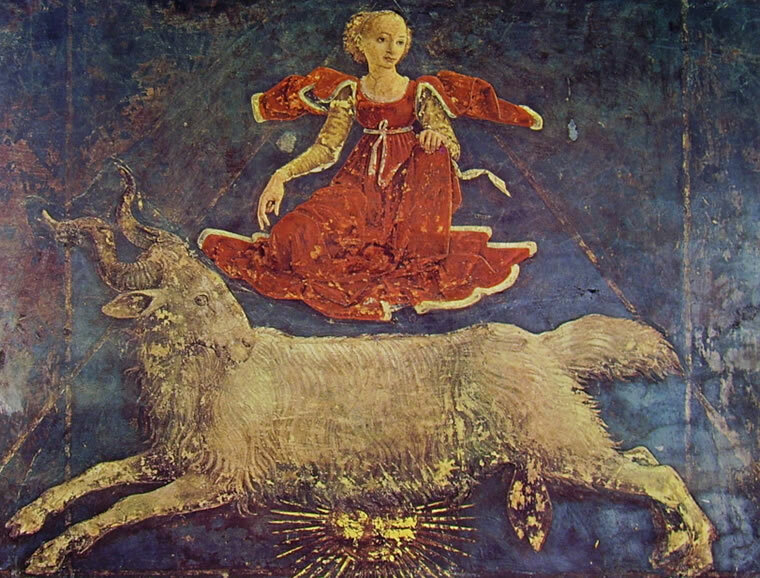 MAY 1, SUNDAY: a mixed bag of transits today, all originating in Aries, but of a rather different character. Aries Venus is opposing Saturn in Libra, a limiting, sobering influence, while Aries Mars becomes conjunct Jupiter, an exhilarating, expansive aspect. Despite the fact that these transits are exact on the same day, different lots of individuals will be aligned to them. The Venus-Saturn’s opposition will be active for about three days, from April 30 to May 2, touching in particular Aries born April 1 to 4, Libra born October 5 to 8, Cancer born July 3 to 6, Capricorn born January 2 to 5, Leo born August 4 to 7, and Sagittarius born December 4 to 7. Or anyone with Moon, planets or Chart’s Angles around the 12th degree of the same Signs (11th to 13th). If you feel lonely and unloved today, or just a bit cold and gloomy, blame it on Saturn. The reality is that today we have been offered an opportunity to test our ability to be alone, without feeling lost or emotionally bereaved. The function of Saturn in fact (a saturnine adverb) is to help us build enough ego-confidence, self-authority and self-respect to stand in our own light, even in matter of love. When connecting to Venus Saturn demands that we find emotional fulfillment in ourselves first, before we start looking for it in other people. Negatively this could be a reality check transit spoiling any romantic notions we may have about love, showing our relationships in a stark light, not embellished by wishful thinking and desire, but rather the way they really are. Or, and that’s the trap, through a darkling glass of pessimism and cynicism. In this way secure and dependable relationships may seem devoid of spark and boring, while new ones may fail to excite, because we are in the mood to expect the worst from them, feeling basically not just unloved but unlovable. This planetary combination is better expressed through love in action, landing a hand to others in need, especially the elderly, or getting into down to earth activities, like gardening, pottery, wood working, crafts of all sort, where Saturn’s practical knack becomes attuned to Venus’ eye for beauty. Few hours after the Venus-Saturn’s opposition Mars reaches his once every two years conjunction to giant Jupiter. This transit will be active for about six days, from April 29 to May 4, touching in particular Aries born April 10 to 15, Libra born October 13 to 18, Cancer born July 12 to 17, Capricorn born January 11 to 16, Leo born August 12 to 17, and Sagittarius born December 12 to 17. Or anyone with Moon, planets or Chart’s Angles around the 22nd degree of the same Signs (20th to 24th). The Mars-Jupiter’s conjunction has a quite opposite nature to the Venus-Saturn’s contact. Venus and Mars attract each other because of their dissimilarities, like male is attracted to female and viceversa. They form one of the best known couples in the planetary pantheon. Saturn and Jupiter also form a couple of sorts, with Jupiter embodying the function of expansion and Saturn that of contraction. So, as much as Saturn will limit and define our experience of love and relationships (Venus) today, Jupiter will stimulate our desires, prompting us to reach out for what we want in a confident way (Mars). The Mars-Jupiter’s conjunction is a risk taking transit, through which we may even become too bold and cocky for our own good, impressed by such high expectations that the reality of things may prove rather disappointing, once the enthusiasm begins to wane, later on. Positively this transit could provide a great injection of confidence, faith in oneself and life, desire to start something new, and aspiration toward bigger and better things. Especially because it happens in this very idealistic and passionate Sign it could provide a vision of the future we may want to live by and believe in during darker moments. Save this ray of sunshine for the rainy days that will unavoidably come. If interested, please click HERE to navigate to my recent Venus in Aries’ post . For more information about the ingress of Neptune in Pisces, please check two of my posts on the subject HERE and HERE. Venus meets Uranus today. This transit has been active since Venus entered Aries on April 22, and will remain active for two to three more days. This is the sort of transit that could make us feel restless in relationships, eager to be independent and to express ourselves freely, ready for excitement, but not as cooperative as some situations may warrant. Uranus embodies in fact that side of our individuality that demands greater autonomy in all aspects of life. When Uranus becomes involved with Venus, the relationship planet, a compelling desire for a change of perspective claims our attention, and cannot be denied any longer. A rebellious instinct may prompt us to make a clean cut with the past, precipitating difficulties in relationship that could end up in separations or mutual alienation. Positively we may be able to openly discuss these things with those we love, thus making some positive steps toward the autonomy we desire, also becoming more conscious of the toxic emotional dependency that can ultimately destroy even the best relationships. To get closer, when a Venus-Uranus contact is active, we need to create or reclaim our own space. Love in this way becomes more akin to friendship, and rather than sucking us in it can make us more truly ourselves. This is also a positive contact to inspire love for Astrology and kindred subjects, talks, workshops, readings, or any group activities in pursuit of knowledge. Aesthetically it could inspire very original and even eccentric forms of art, expressing true individuality and ingenuity. The people directly aligned to this transit are those born in the Sign of Aries between March 21 and 26, and also Libra, born September 23 to 28 (via opposition), Cancer, born June 21 to 26, and Capricorn, born December 21 to 26 (via square aspect), as well as Leo, born July 22 to 27, and Sagittarius, born November 22 to 27 (via trine aspect). Also anyone with Moon, planets or Chart’s Angles around the first four to five degrees of the same Signs, Aries and Libra in particular. Venus emerges today from the ocean of Pisces, a vast realm of magic and mystery, to enter the fiery home of Mars, a place for initiative and challenges, where the feminine principle embodied by Venus is clad in armor and ready for a fight. Here we experience the feisty aspect of Venus, the more independent, masculine Goddess, for whom love is conquest and adventure, or otherwise boring and expendable. We should also remember that Venus is in her Morning Star phase, rising before the Sun, a time, in her 584 synodical cycle with planet Earth, when she manifests her more outgoing and adventurous side. This phase, in combination with the Sign Aries, promises more honest, direct and independent relationships in the making, and the strong desire for being self-sufficient, producing sometimes an allergic reaction toward co-dependent and close knit relationships. Living the positive side of this transit could mean a boost of loving and creative energy for the Fire and Cardinal Signs (Aries, Leo, Sagittarius, Cancer, Libra, Capricorn), with more opportunities for socializing, dating, perhaps beginning new relationships on the spur of the moment. Instant attraction can come easy when Venus transits Aries, because we respond readily to external stimuli, we are less inhibited and more open to new possibilities, daring to take some emotional risks in order to reach out. Apart from relating Venus has also a lot to do with creativity and aesthetic feelings, as well as with our value system and material finances. Because Aries is a Sign of action Venus here may prompt many to act out their creative ideas and imagery, making things, or starting something that we didn’t have the initiative and confidence to tackle before. Like with all the Fire Signs the need for self-expression is very strong in Aries. On the financial front there may be a tendency, augmented by the number of planets transiting Aries, to spend freely or on things that take our fancy in the moment. A conscious effort to avoid extremes of all kinds is a must with so many celestial bodies transiting Aries. I find interesting that, as Venus enters Aries and joins the other planets already transiting this Sign, in Australia and other places around the world, we are now celebrating the resurrection of Jesus, the archetypal Peace Hero, while we also remember the War Heroes of Anzac Day. This is a strange mix of celebrations, that seems to reflect the dual role of Venus as Goddess of love and peacemaker, transiting the war-prone Sign of Aries. At the moment it could be too easy to glorify war, with so many ‘just’ wars and bloody grassroots rebellions being fought around the globe. One thing is to remember the men and women who fought and were killed in war, fodder for all wars’ voracious appetite for blood; another thing is to glamorize their role and the role of conflict, as one of the highest manifestations of human culture, as we have been doing since the conquering wars of the Iron Age have shaped our world vision. Too often we forget to remember also the thousands upon thousands of ordinary people who weren’t fighting, but were maimed, killed or for ever displaced from their home land because of the madness and cruelty of war. 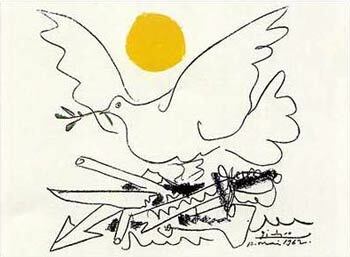 When life is felt to be a strife between good and evil, and one is not aware of how extensive the blurred area between these two principles really is, we naturally take a stance for what we have been conditioned to believe in, and in doing so we justify the horrors of war or of escalating personal conflicts, seeing no other way to solve our differences. This is the weak spot of Aries, when its physical and moral courage becomes the servant of conflicts, and men grow to be insensitive to the pains they inflict on their fellow men. During the transit through Aries, until May16, Venus will come in contact with many different planetary energies that are now moving through Cardinal Signs: Uranus, Mercury and Jupiter in Aries, Pluto in Capricorn and Saturn in Libra. I will provide specific observations on these in the regular Weekly Astrological Highlights feature. The people more likely to respond to Venus in Aries’ influence will be Aries, of course, but also Libra (by opposition), Cancer and Capricorn (by square aspect) and the other two Fire Signs, Leo and Sagittarius (by trine aspects).